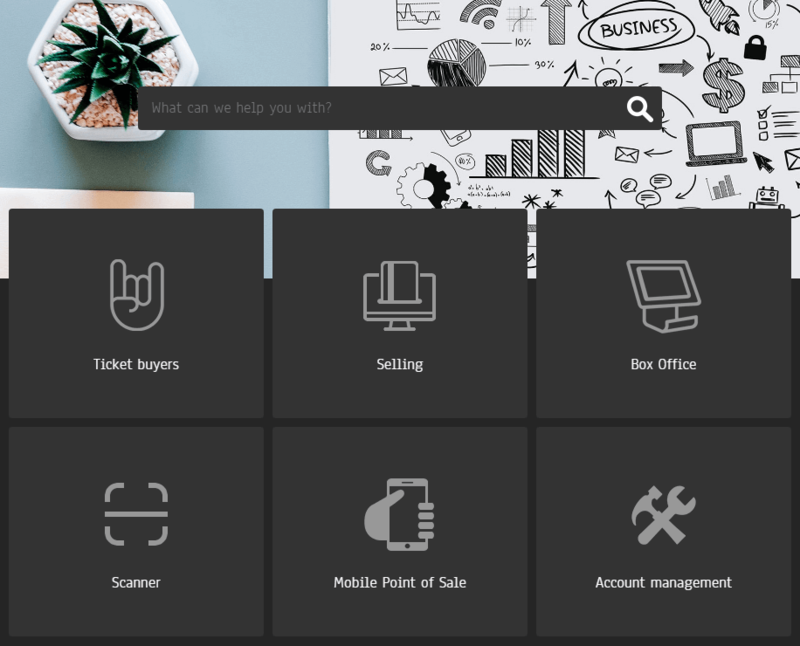 To assist customers with immediate and illustrated answers, Ticket Division launched a new version of its Help Center. 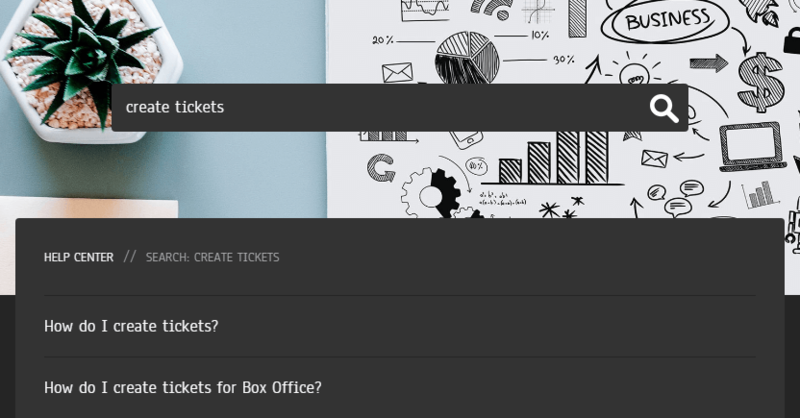 In addition to a new design, questions and answers have been added to assist Ticket Division users with the new products, such as Box Office. You have not not visited the Help Center, take a look now. In the past few months, Ticket Division products and services have grown faster than its Help Center, the latter needed a new youth. Its update comes with nearly a hundred additional questions answered. Questions are now labeled and divided into 6 categories: buying, selling, box office, scanner, mobile point of sale and account management. 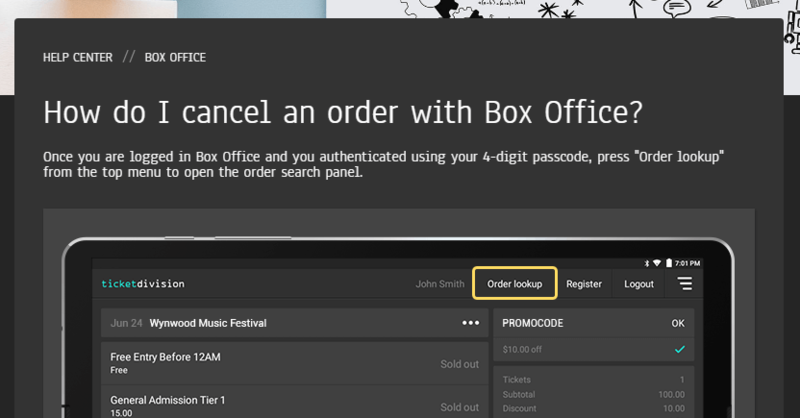 Box Office now benefits from a entire section dedicated to the software to assist vemues and organizations in need of assistance to sell tickets at their door. Ticket Division users in need for immediate answers can now our search engine to find articles with just a few words. The search engine is designed to search "wide" to suggest additional articles while preenting the most relevant articles at the top of the results. Answers now include multiple images to provide Ticket Division users with a visual representation of their screen while they read instructions and answers to their questions.